Quick and easy tip for clean make-up brushes! Eeep, it's Christmas super soon! Do you need last minute gifts that are useful and wholesome, and quick to whip up? I remember buying my daughters some lotion and bath products when I didn't know any better... now I cringe at what they may have put on their skin! These natural moisturising lotion bars should do the trick! It looks like soap, but it's lotion. It is firm but melts when applied to your skin. It's normally a combination of wonderful butters, and oils and some wax to create a solid but spreadable final product. 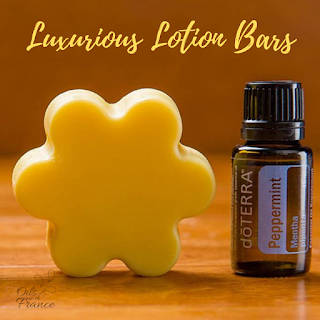 Nourishing and soothing do your dry skin all you need to do is massage the bar on your skin and let your body's natural heat melt the lotion, then do what you normally do with lotion, spread it and enjoy its beautiful aroma! The summer months are the perfect time to enjoy the outdoors with your family and friends. We know that many of you will be hitting the pool, enjoying family barbecues, or spending time in the camping or at the beach. We want to ensure that you and your family stay safe this summer, and are also able to use your essential oils in the most effective ways possible. General Oil Safety Always check the label on your dōTERRA Essential Oil/Blend bottle. Each essential oil has specific directions for use. Look at the labels and follow direction closely, especially if you are trying oils for the first time. 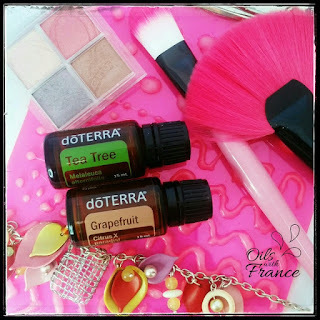 Many oils need to be diluted with a carrier oil. For application convenience, many of dōTERRA’s most popular oils are pre-diluted with a carrier oil as part of our Touch line. The Peppermint touch roller is a summer favorite for many because of its cooling effects on the skin. When applying to your face, avoid contact with your eyes, nose, or ears.